Made bespoke to order using a highly polished 3mm thick brass. Simple images, borders and fixings are also included in the price. 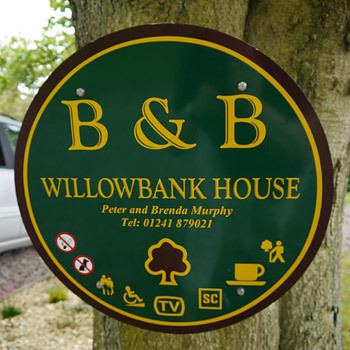 Our range of house signs come in a variety of quality materials and sizes. Our signs will enhance the entrance of your property. Unlike many companies VAT is included in the price and carriage is at a nominal cost. 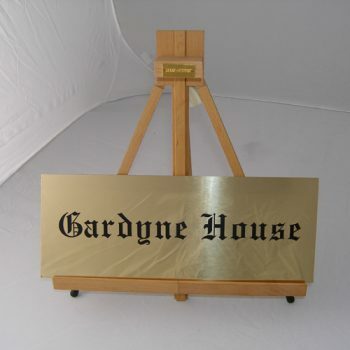 Create a custom plaque from brass, bronze or stainless steel. A lasting and timeless memorial for individuals, families, friends and pets. 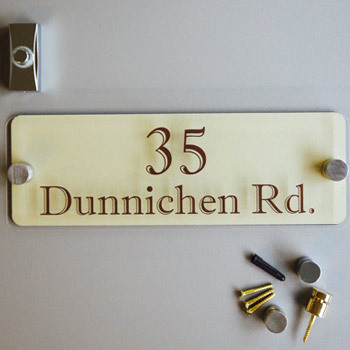 Our Perspex House Signs are made to order using a 4.5mm Coloured Textured Backplate. 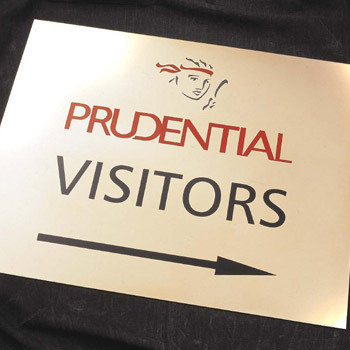 The fixings we supply for these signs are Solid Brass Standoffs which come in a variety of finishes. Wall plugs and screws are supplied free of charge. 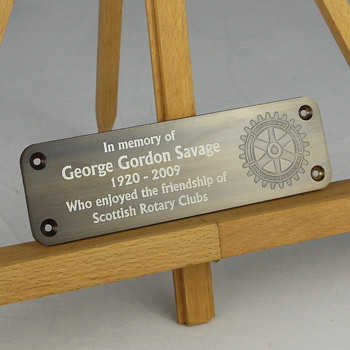 Brass, Bronze or Stainless Steel commemorative plaques made to your own custom design, created using top quality finishes. We also produce quality brass, bronze, perspex, stainless steel, aluminium or foamex signs for your business or shop frontage. Upload your own logo or colour graphic and we will incorporate it into your sign or plaque. Use our sign designer to type in your own text and choose a custom font. We are one of the UK’s leading sign making & engraving specialists who takes great care in designing and creating high quality bespoke signs. No-fuss ordering. Choose your own plaque or sign design. 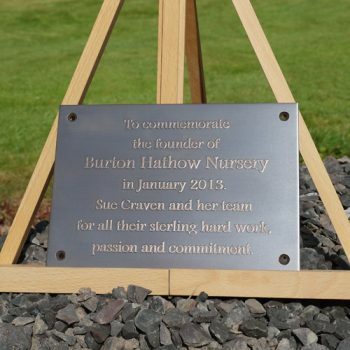 There is no limit to the amount of words you put on the plaque, and you can choose from a collection of fonts we have available. Other options include sizes, add an image or logo, choose a scalloped border if you prefer, a range of fixing options as well as a backing board or stake depending on useage and siting. Your name plate will be professionally designed based on the information given; we will send you a free PDF proof via email before we make your sign or plaque. Artwork can be amended as often as required until you are satisfied with the result. We will not start your order until you are happy with the design. We have a wealth of experience and expertise in designing and creating custom made monoliths and architectural signage. We work with a range of clients from local government, oil companies, engineering firms, the general public and the sign trade. We specialise in metalwork but have the capabilities and experience to handle a broad spectrum of different materials and products; all of a very high quality.